Contract surety bond approvals should be easier. One of the most frustrating parts of being a contract surety bond underwriter is having to decline bonding capacity to a contractor that you feel possesses the prerequisite experience, expertise, character and financial stability to accomplish his or her project. It has been my experience that disapproval of otherwise well qualified applicants are due to one of three reasons. It is unreasonable for a contractor that has not previously qualified for program bonding capacity to submit a request the day before a bid bond or final bond is due. The underwriter must be afforded ample time to digest the biographical information provided by the contractor, read and understand the contract and therefore the nature of the bonded obligation, retrieve and review credit and financial rating service feedback, and properly analyze the contractor’s financial statements paired with work on hand (work in progress) schedules. During this review process concerns may arise that require clarification through telephone calls and/or emails to the contractor and the project owner. Very small contract surety requests don’t require the same effort as larger ones. Nonetheless the same underwriting fundamentals apply to contract surety bond approvals regardless of the project size. In efforts to offer bonding to small and emerging contractors most sureties have created “quick bond” or “fast app” programs. It is understood that new and small contractors are unlikely to have CPA prepared financial statements. The cost of formal financial reporting can be difficult to budget for. As project values increase, underwriters must be able to trust the accuracy of the working capital, revenue, efficiency and billing figures contained in a financial statement. Presentations prepared to review or audit standards are absolute prerequisites for larger bond requests. Offering formal statements also provides the underwriter with an indication of a contractor’s financial management maturity and understanding of the basic principles of credit application. As a general rule, “If you want to play in the big boy pool, you have to be willing to play by big boy rules.” A contractor’s unwillingness to quickly provide the requested financial information prepared to the appropriate standard is a big “red flag”. As part of an application review the surety underwriter necessarily compares the size and complexity of the proposed project with projects that the contractor has successfully accomplished in the past. 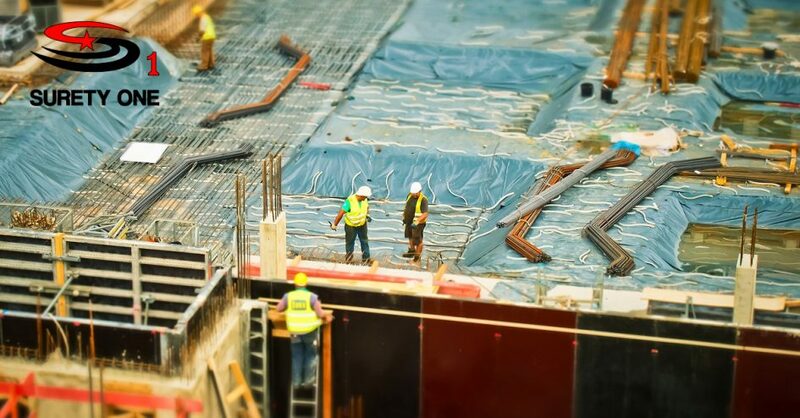 Bidding on jobs that are significantly larger in scope, complexity or outside of the contractor’s primary work specialty are leading causes of surety request declinations. Often coupled with a proposed project location distant from the contractor’s normal geographic center of operations, overextension is a serious concern. All three of the aforementioned factors are unconditionally within the contractor’s control. Understanding how these components affect an underwriter’s overall opinion of a contractor’s bondability and taking the appropriate actions to provide for them is key. Clear, open lines of communication with the bond underwriter are essential in answering each one of them. Put into practice, more contractors will obtain contract surety bond approvals and the surety support that they require. SuretyOne.com (Surety One, Inc.) is a bond underwriter, international insurance brokerage and surety-focused managing general agency licensed in all fifty states, Puerto Rico, U.S. Virgin Islands, Canada and Dominican Republic. Surety One, Inc. specializes in surety bonds (commercial and contract), fidelity bonds, and pure financial guarantee. Unique among surety underwriters, Surety One, Inc. enjoys very broad binding/issuing authorities through multiple admitted and non-admitted carriers. Visit www.PerformanceBond.com, call (800) 373-2804, or email Underwriting@SuretyOne.com for a performance bond application package or information about any surety bonding need. Recuérde que le asesoramos en SU idioma, así que comuníquese con nosotros, SU compañía afianzadora preferida para la fianza.